Need Documents Translated in St. Thomas? Then come to Lighthouse Translations and Interpretation Services – St. Thomas for expert and professional document translation services. document translation services so that you need not worry about your work-related needs. We offer translations into and from English, Spanish, French, Dutch, German, Italian, Portuguese and 15 more languages. No matter the language, we got you covered! Many companies that are extending their business operations globally now recognize the value of translating documents to the native language of overseas clients and new potential clients. It does not only foster better communication, it should also be a part of a general business strategy aimed at providing mutual trust and appreciation for all parties. Many times, you might need to translate any of the following documents: user manuals, employee newsletters, contracts and/or agreements, confidentiality agreements, immigration documents, PowerPoint presentations, sales presentations, employee handbooks and Annual Reports. For any of these and many more types of documents, you can rely on Lighthouse Translations and Interpretation Services to have them delivered on time, at a reasonable price, and with the highest quality possible. Events of different sizes and types are held here at St. Thomas, which is becoming even more popular as a destination for conferences and incentive travel. Are you here for an important business meeting, seminar, training or conference? Whatever event you are attending or hosting, if you are part of a big organization that is diverse in language and its culture, you may find you don’t only need to be able to successfully communicate with other people verbally. You also have to make sure documents, presentations and files are appropriately written for attendees. You need St. Thomas document translation Services by Lighthouse Translations and Interpretation Services. In some cases, you may be in a critical business negotiation or an event involving just a few professionals but would require documentation and the creation of documents for readers who don’t speak the same language as yours. For this task, you can trust our document translation services. What kind of document translation services does Lighthouse Translations and Interpretation Services offer? We have more than 50 translators who are experts and well versed with the terminology in industries like engineering, financial, manufacturing, agricultural and more. We cover nearly all industries and specializations. We make sure that your documents express your original ideas in a way that retains coherence and targets your audience. We guarantee compliance and acceptance by the government in the country you will specify. We offer full support, 24 hours a day 7 days a week, so that we can deliver translated documents promptly or very quickly if your needs are urgent. We can also accommodate long-term Document Translation Services ( St. Thomas Document Translation Services ). We offer fast, professional and accurate translation for 20 of the world’s most important languages like Chinese, Japanese, French, Spanish, Russian, Portuguese and Arabic. We don’t simply translate documents; we follow a Q & A process that involves editing and proofreading as well as making sure that you get the documents you need when you need it. All of these tasks are completed with confidentiality. We respect the privacy of all our customers. If you require a confidentially agreement, we can also provide one for you. Lighthouse Translation St. Thomas document translation Services’ professionals are ready to help you now – contact us today and find out more or get a free quote! St. Thomas, in the US Virgin Islands, is well known for its amazing beaches and duty-free shopping and has become a haven not only for vacationing tourists but also for international organizations whose professionals come here to convene. In recent years, it has become a popular destination for meetings, seminars and related events for organizations across the globe. Lighthouse Translations and Interpretation Services – St. Thomas interpretation equipment rental can play a big role in the success of these events. St. Thomas, as well as other US Virgin Islands, boasts excellent hotels and resorts that are great for events of any size. In fact, the US Virgin Islands was named in 2007 as the winner of Partly as an incentive to employees or members, big international organizations bring their professionals here to have fun or to meet other professionals for team building and other fun activities. Lighthouse Translations and Interpretation Services’ St. Thomas interpretation equipment rental services will help run a successful meeting stress-free. rental can be easily arranged with us. You may start by telling us what your requirements are and what type of equipment you need, and then we will promptly send you a quote. Afterwards you can proceed to book with us a date and select a payment option. Need Interpretation Equipment Rental in St. Thomas? Why would you need interpretation equipment rental in St. Thomas? This service can have a very significant impact on your your event. If professionals speaking different languages will attend your upcoming meeting or conference or if you are conducting a conference in foreign language, you will need to interpret what is being said effectively to your audience. You would want your attendees to fully appreciate the event by conducting it in their own languages. Whether you’re expecting a small group or a large group of multilingual participants, Lighthouse Translations and Interpretation Services has the right interpretation equipment for you. We offer the latest technology for quality interpretations. We also will assign a dedicated project manager specifically to your event or meeting to make sure that your event will fully benefit from our services that will be with you throughout, from setting up to wrapping up. Spanish, Russian, French, Portuguese? We also provide interpreters for these and many other languages should you need them. Full size sound proof booths. FM and infrared digital transmitters and receivers. Professional conference interpreters as well. large group of attendees; portable interpretation systems are best for small meeting or sessions. Lighthouse Translations and Interpretation Services has been providing full interpretation rental services support for large and small events in the United States, Puerto Rico, the Caribbean and Saint Thomas in the US Virgin Islands since 2003. With our competent native speakers and technical support teams, we guarantee accurate and culturally relevant interpretation services for a wide range of languages and diverse cultures. Contact us today to find out more or for a free quote. Aptly called a water lover’s paradise, St. Thomas in the US Virgin Islands would make anybody’s stay worth every minute. With its curious mix of historic buildings, cruise ships, beach resorts and villas in the hills. It’s the perfect destination for those who would like a few days off from smog and traffic in business districts anywhere in the world. No wonder it’s a great choice for companies, groups and associations who want to bring some of their best professionals somewhere for a meeting or event. In St. Thomas, USVI, where people from different cultures and who speak different languages meet, communication is tremendously important. If you are planning conventions, conferences, events or activities there’s a great need to facilitate mutual understanding. With St. Thomas interpretation services, Lighthouse Translations and Interpretation Services makes itself available to provide interpretation services at any hotel or venue in St. Thomas so that your attendees can both enjoy the island’s main attractions and the chance to have a productive meeting or conference. Many organizations or businesses have culturally diverse clientele or personnel. In a few instances, speakers or attendees may not speak the same language. Lighthouse Translations and Interpretation Services can offer professional St. Thomas interpreters who will behave in a culturally appropriate manner and provide accurate, simultaneous interpretations. Our native language speaking interpreters also knowledgeable in a wide range of specific fields including law, medical, technology, manufacturing, agriculture, finance, tourism and more. Holding conferences with multicultural or multilingual attendees is not uncommon in St. Thomas. The US Virgin Islands which was hailed as an excellent destination for conferences and incentive travel in 2007 boasts of excellent facilities that can hold big events. 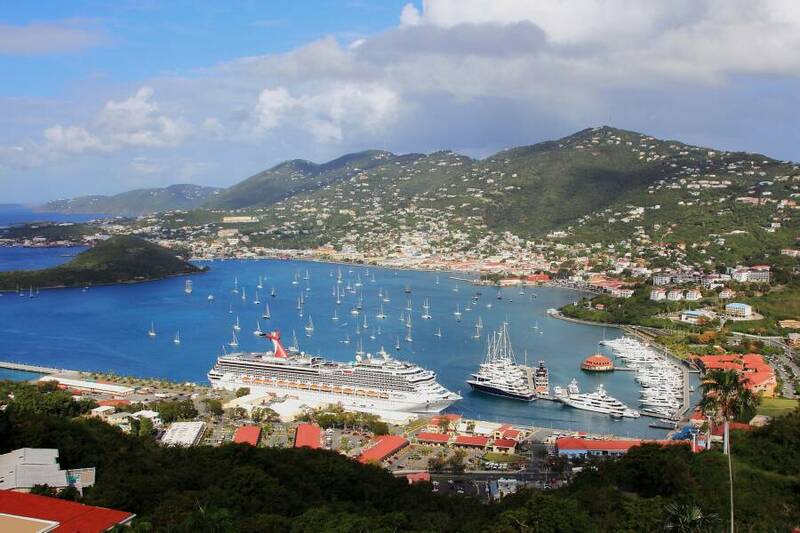 In St. Thomas, there’s a mix of unique and traditional venues for such activities, matching the multicultural diversity of people who flock to this part of the world to have fun as well as do business. You can trust Lighthouse Translations and Interpretation Services’ St. Thomas interpretation services to be efficiently and reliably fulfill your needs. We aim to enhance your attendees’ experience by making them feel at ease with culturally appropriate and accurate interpretation. We give you full support, from site inspection to post-event wrap up, so that you will meet the objectives of your event or meeting. For more information or for a quote, visit us today!